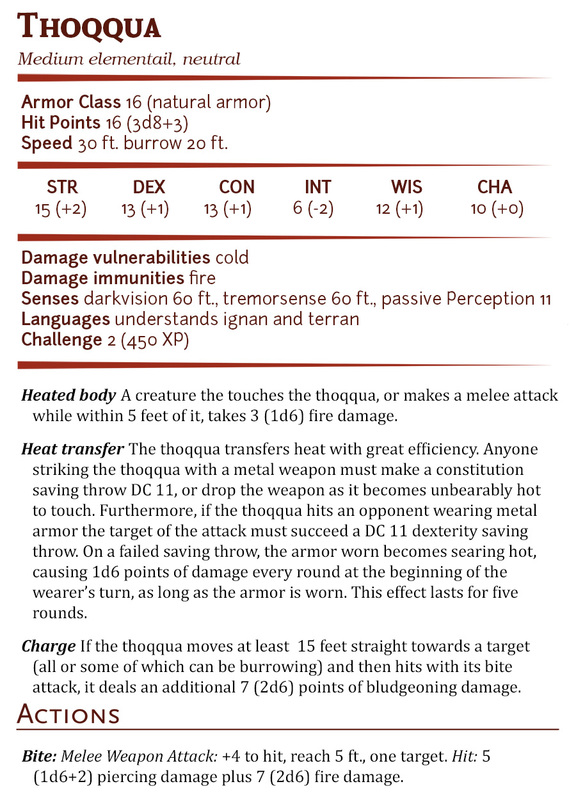 The thoqqua, or rockworm, is a worm-like creature from the elemental plane of earth and/or fire, and it is suspected to be the larva stage of some terrible elemental creature, though no-one knows exactly which. They are said to burrow into this realm of existence from the elemental planes, or the center of the earth itself, melting and devouring rock as it goes. It originally appeared in the Fiend Folio for first edition AD&D, then in the Monstrous Compendium Planescape Appendix III for the second edition, and finally in the Monster Manual for third (and 3.5) edition. 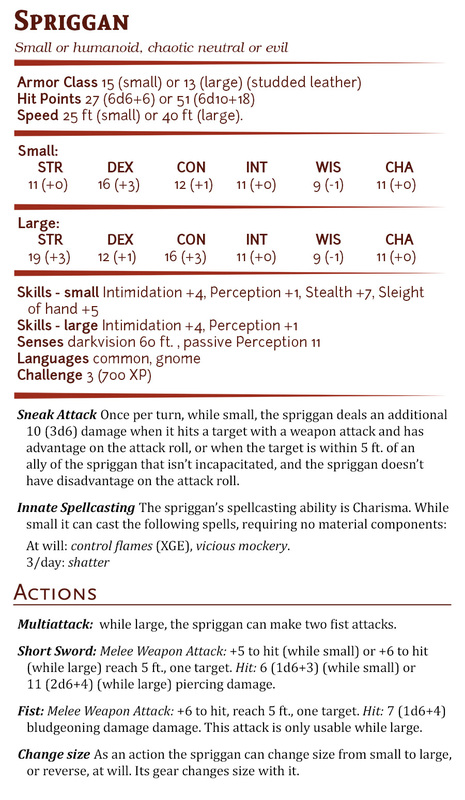 The Spriggan is a nasty creature from Cornish mythology. 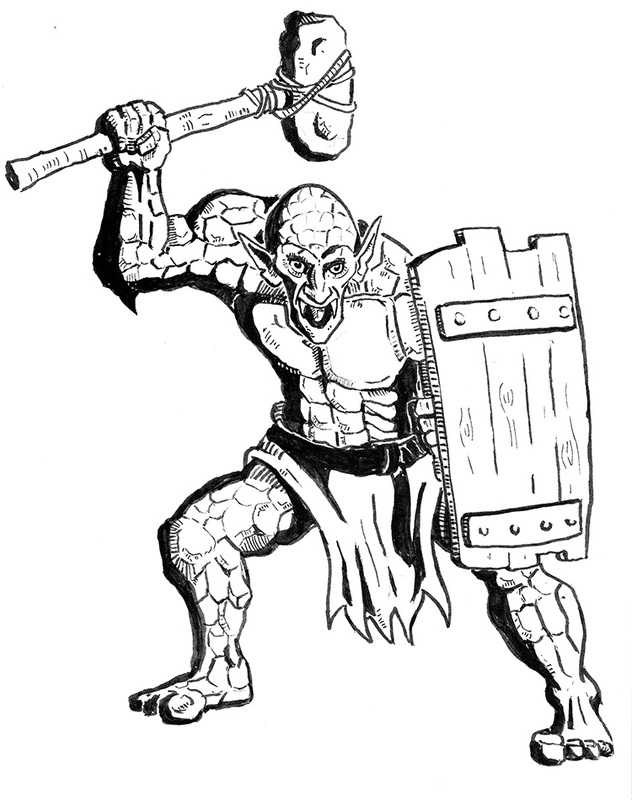 They were depicted as grotesquely ugly, wizened old men with childlike heads. 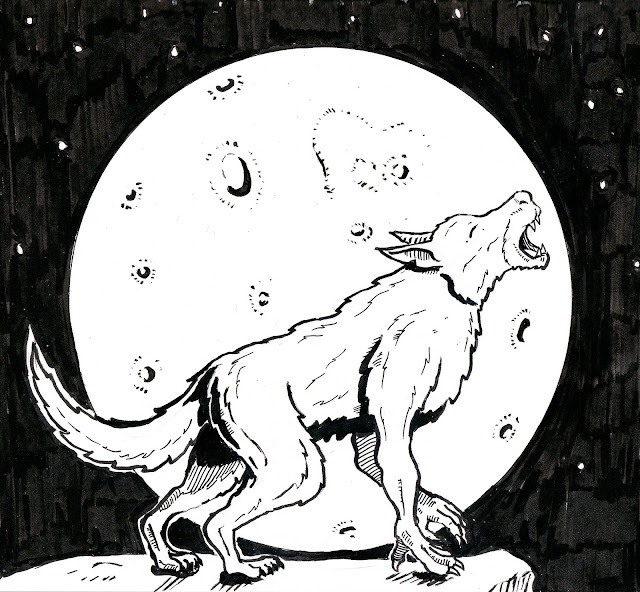 They were known for being unpleasant and mischievous, frightening travelers, destroying crops and stealing children. 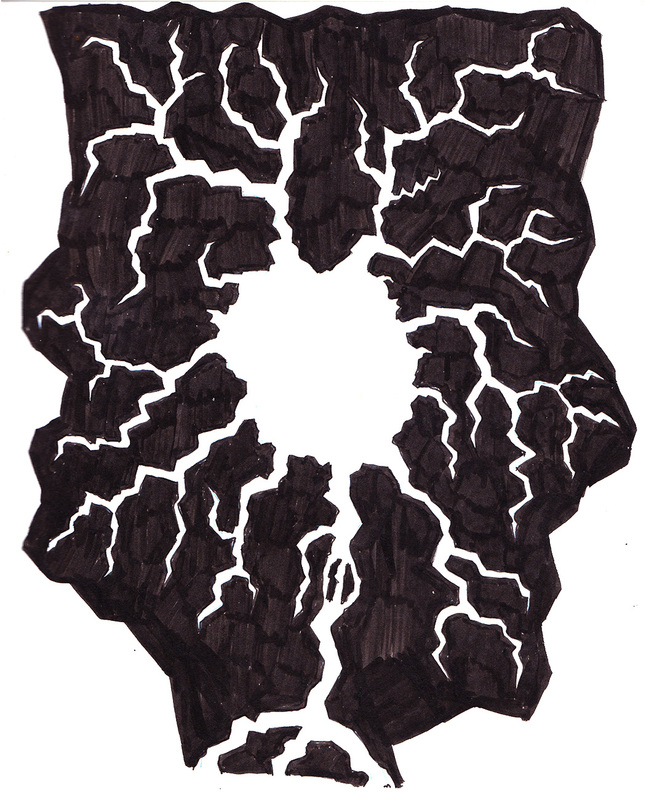 Normally they were small in size, but it was sometimes thought that they were the ghosts of giants, and so able to swell massively in size. 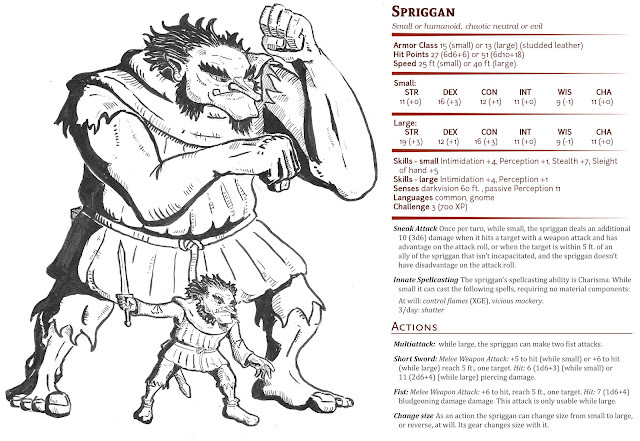 In D&D, a spriggan in small form is depicted as an unusually ugly gnome, that when it feels the need, can grow in size from small to a massive brute. 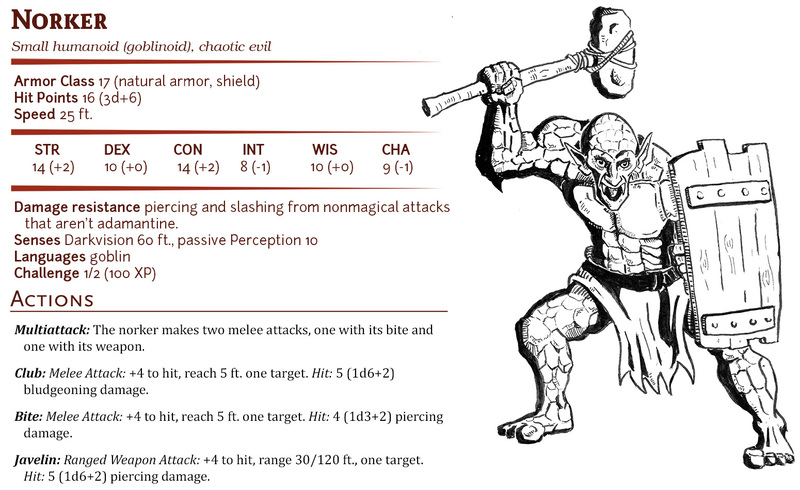 They first appeared in the Monster Manual II for AD&D first edition, then later in the Greyhawk Appendix to the Monstrous Compendium and the Monstrous Manual for second edition, and finally the Fiend Folio for third edition. 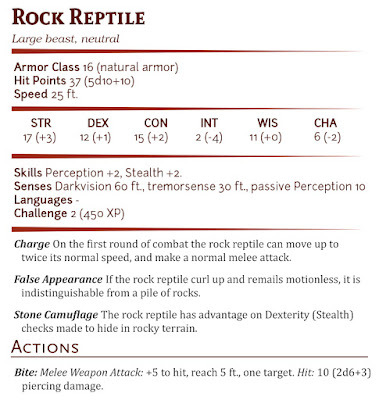 You'd think finding a good monster for the letter R would be easy, it being the fourth most frequently used consonant in the alphabet, but as it turns out there were actually few good candidates on R. The final choice actually fell on this critter, the Rock Reptile, which again you'd be forgiven if you've never heard about. 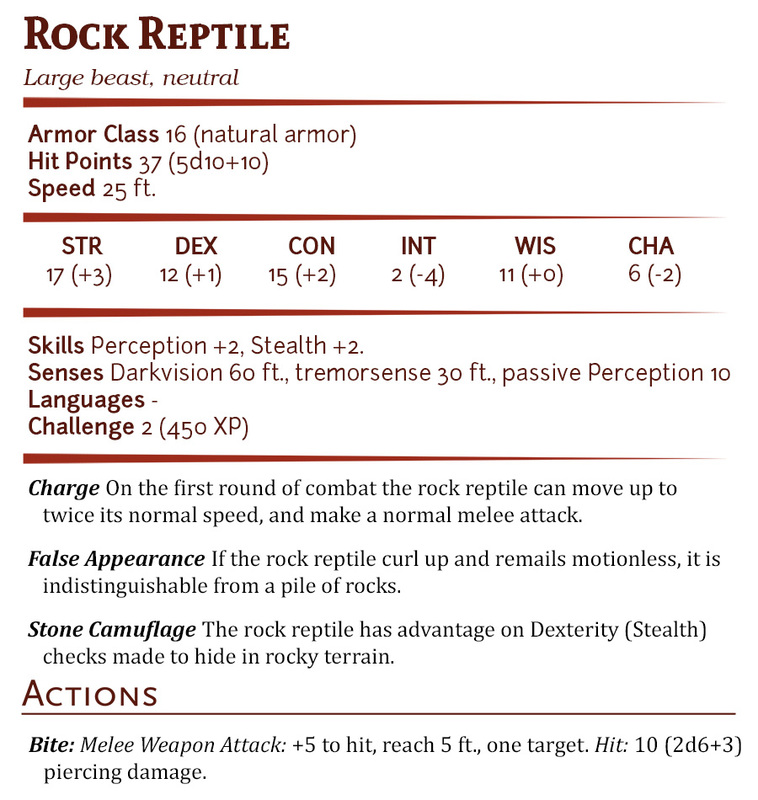 It only appeared in the Monster Manual II for first edition AD&D, and then a third party monster book for third edition (Sword & Sorcery - Tome of Horrors from Necromancer Games), and that's it. 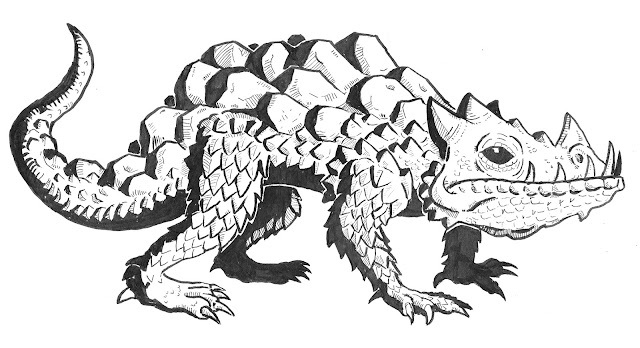 They are described as horse sized lizards, living underground, with lumpy, warty hide and chameleon like powers. 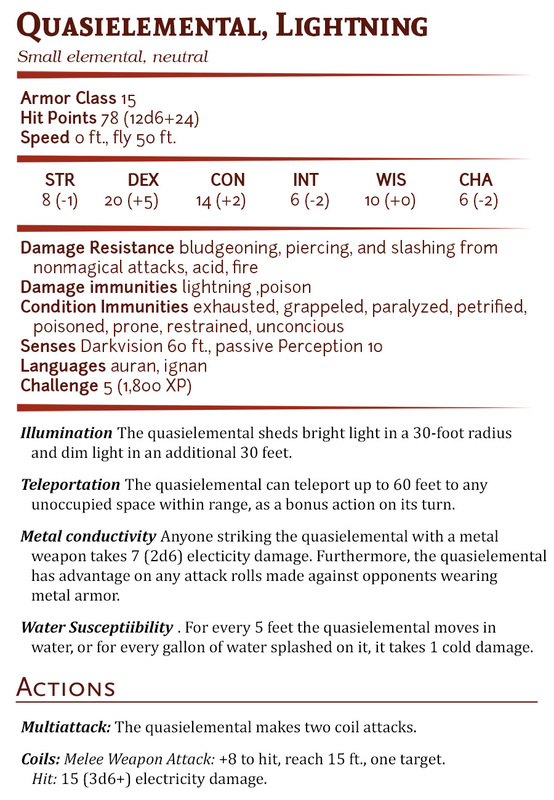 Q was an especially difficult letter to find a monster for, so the solution became the Lightning Quasielemental, and even that by stretching it a bit. 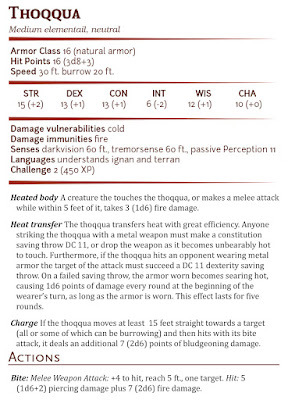 Quasielementals are composite or near elementals that don't fit snugly into the classical distinction of the four base elements. 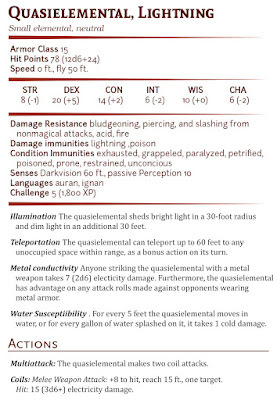 The lightning quasielemental first appeared as the only quasielemental in the Monster Manual II for first edition AD&D, and then again, this time along with the whole family in the third Monstrous Compendium for the Planescape setting for second edition. 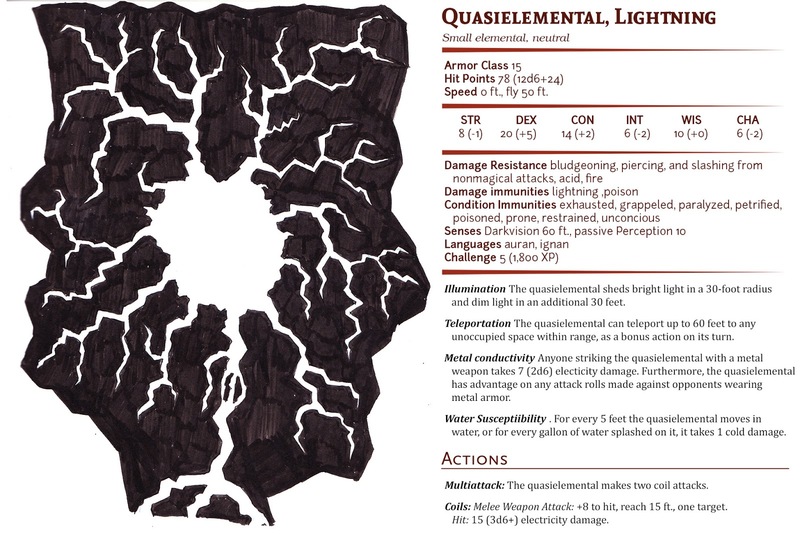 For those interested, the whole family of quasielementals are divided into positive and negative , and include the ash, dust, salt, vacuum, lightning, mineral, radiance and steam elementals. This lovely lady is a penanggalan, a type of female vampire from Malaysian mythology. 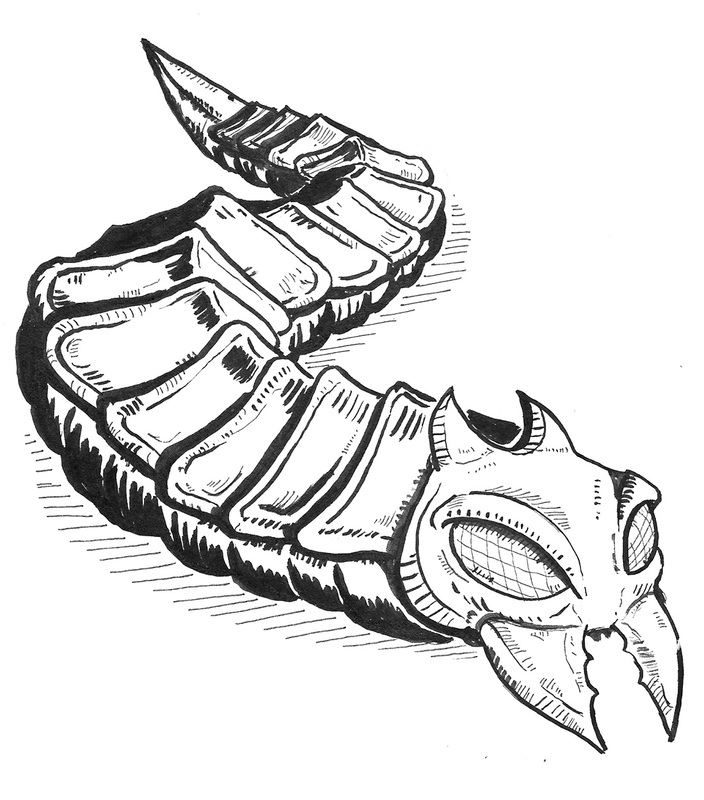 At night these women (on they can only be women apparently) can detach their head and innards from their body, and fly around in search of prey, preferably other young women. 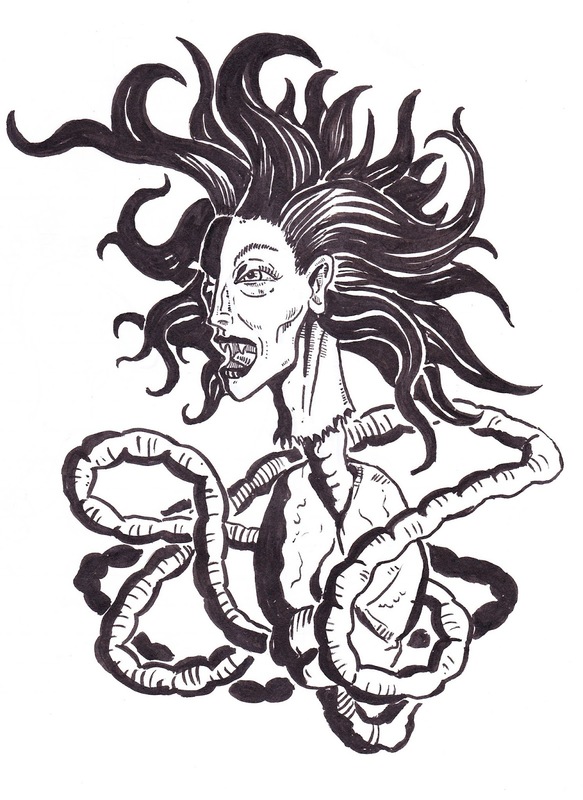 After a night of hunting they return to their headless body, but their entrails are so engorged that they have to be soak them in vinegar for about an hour before they can fit within the cavity of the body. 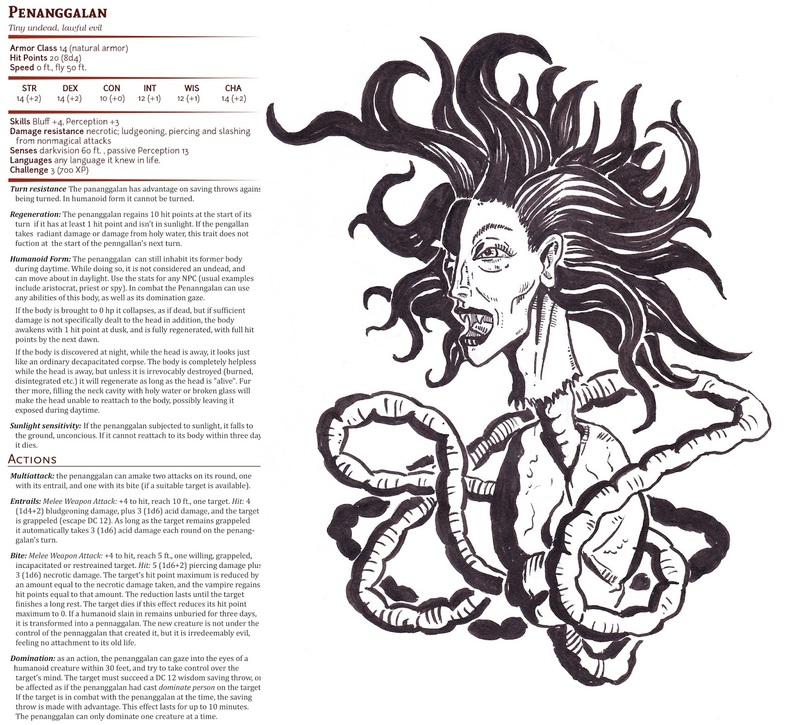 The penanggalan first appeared in the (you guessed it...) Fiend Folio, then again in the second edition Fiend Folio Monstrous Compendium supplement. 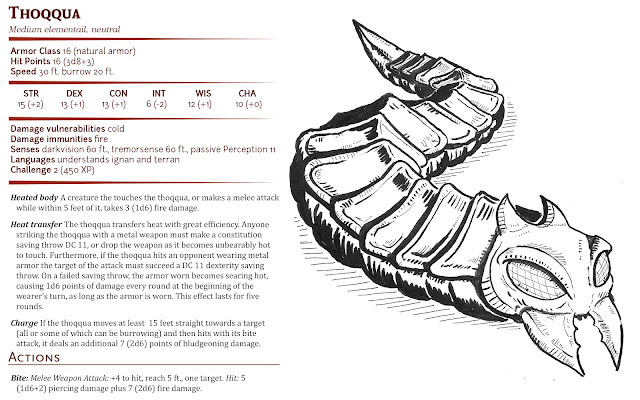 Then for third edition, because of its far eastern origins, it appeared in the Oriental Adventures source book. 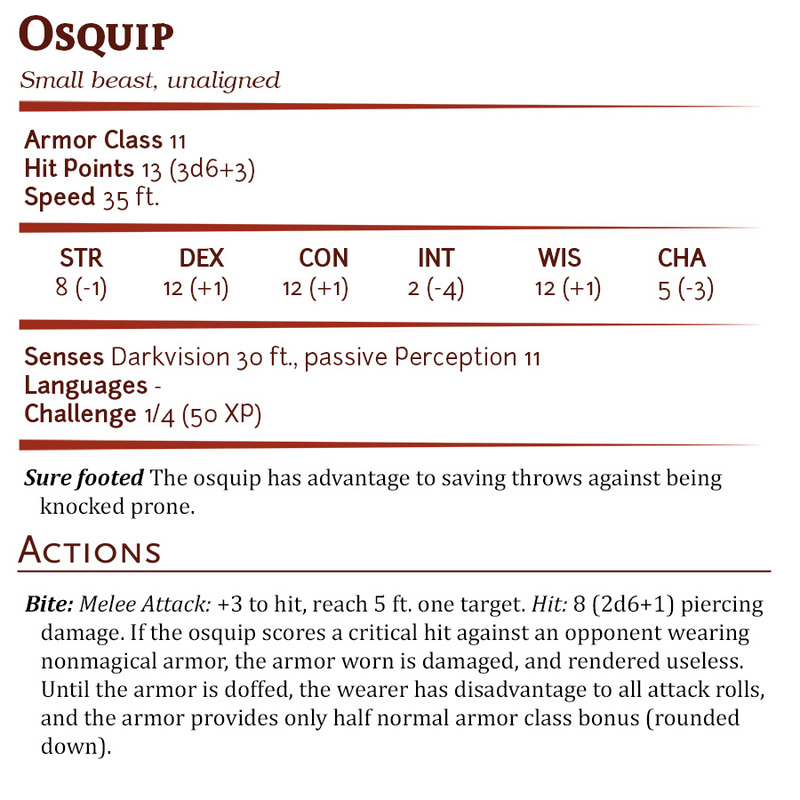 The osquip is described as a large, hairless, dog sized rodent, that looks something like a massive hairless mole rat with six legs and teeth the size of shovel blades. 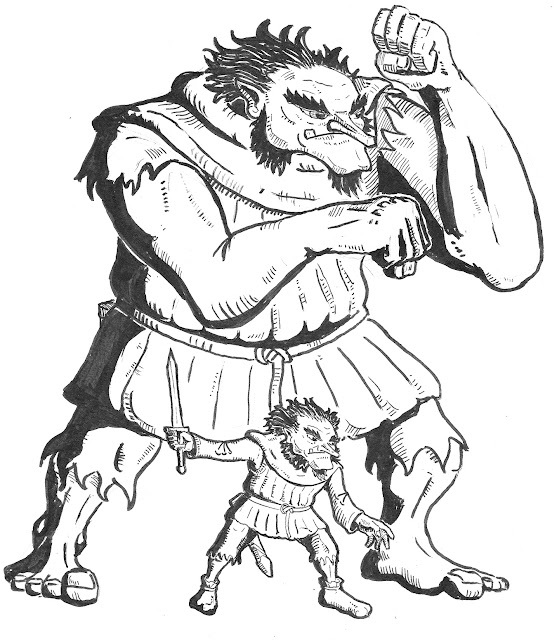 Most specimens have six feet, but they have been known to have as many as eight or even ten feet in some cases. 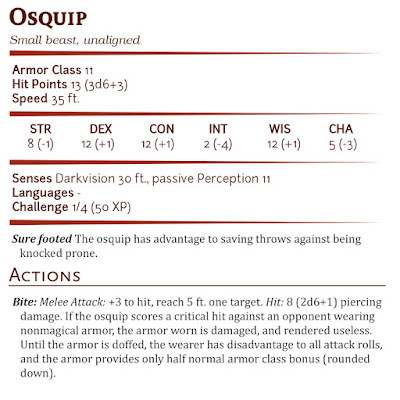 Like so many of the weird monstrosities covered in this little alphabet, the osquip first appeared in the Fiend Folio. It was later featured in the second edition Monstrous Compendium (vol. 2) and Monstrous Manual. 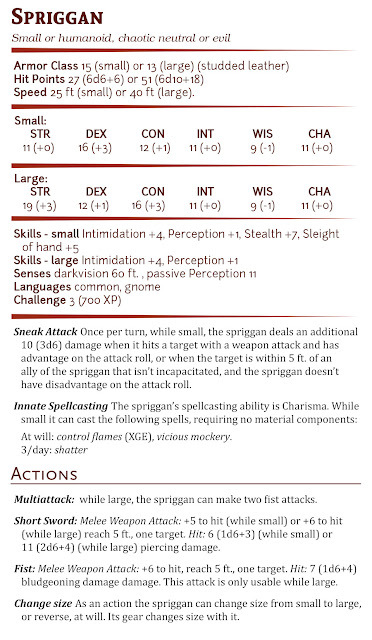 It made a brief appearance in third edition in the sourcebook Races of Faerun (not as a playable race), until disappearing into obscurity. 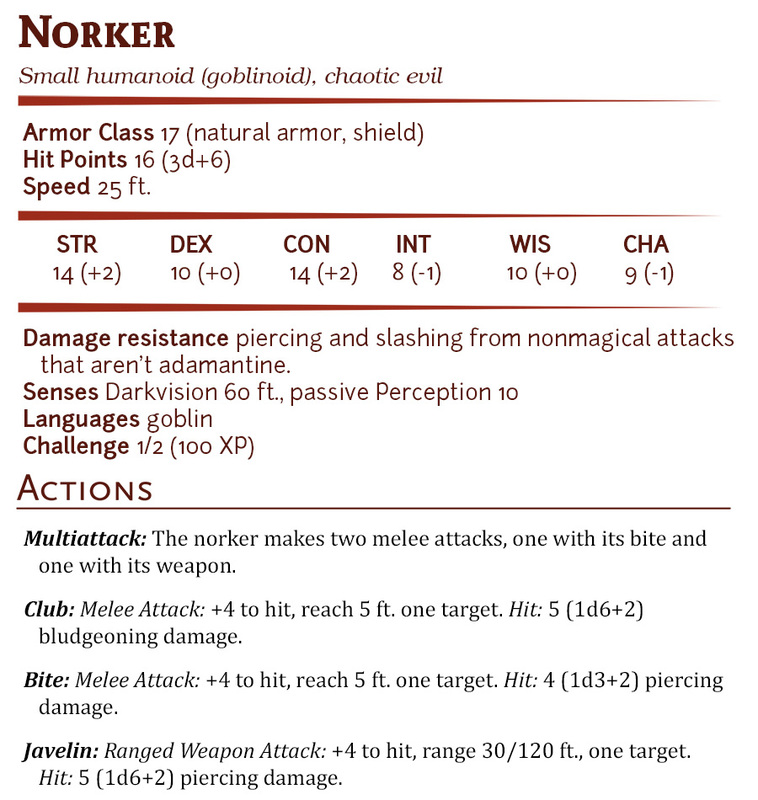 Another old obscurity, the norker is a small goblinoid, said to be a distant cousin of the hobgoblin. 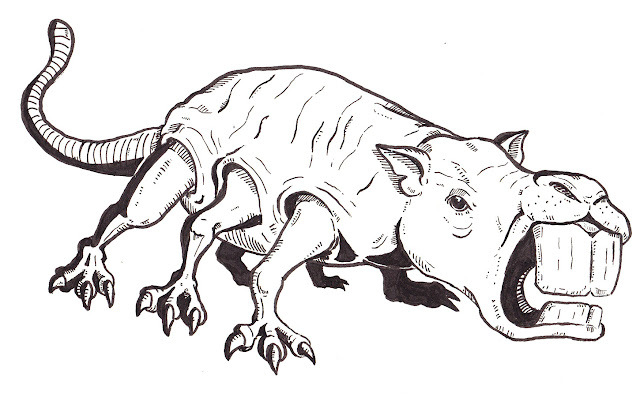 They have thick hide, though its form and nature varies a bit depending on which source you look at. 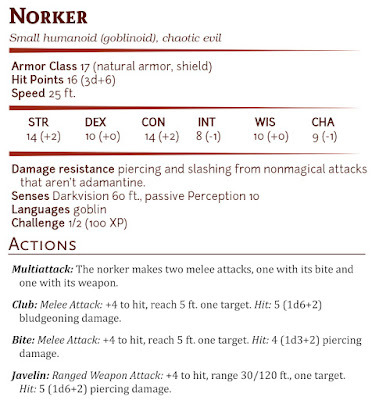 Regardless, this thick hide means the norker will eschew armor. They first appeared in the Fiend Folio for first edition AD&D, then in the Greyhawk appendix of the Monstrous Compendium for the second edition, missing third edition altogether, and being reinvented as a race with deep ties to the elemental plane of earth for the fourth edition. In real life, a moon dog is a rare bright spot on the halo of the moon, caused by the refraction of moonlight by ice crystals in clouds. In D&D they are strange, benevolent dog, with dark shaggy fur, opposable thumbs on their forepaws, and the ability to travel on either two or four. 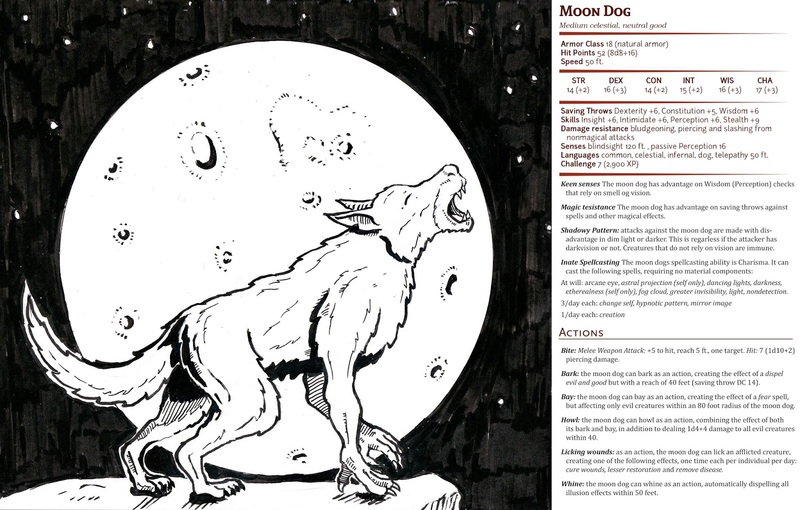 Kind and intelligent, these dogs are truly any good man's best friend. They first appeared in the Monster Manual II for first edition AD&D, then later in various releases for later editions.